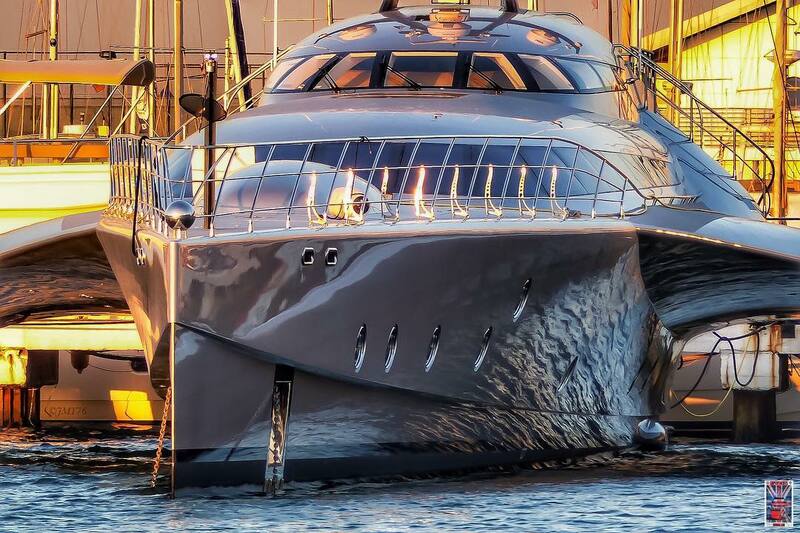 Built by Latitude yachts and launched in 2016 Galaxy of Happiness is a 53m (173′) GRP and carbon fiber trimaran. The naval architecture and exterior design was completed by Coste Design & Partners. With a total horsepower of 2600 coming from twin MTU engines Galaxy of Happiness is capable of a 28 knot top speed with a cruising speed of 20 knots. Its accommodations include space for six guests with three staterooms including a master suite and two guest rooms. There is additional room for up to six crew members as well. 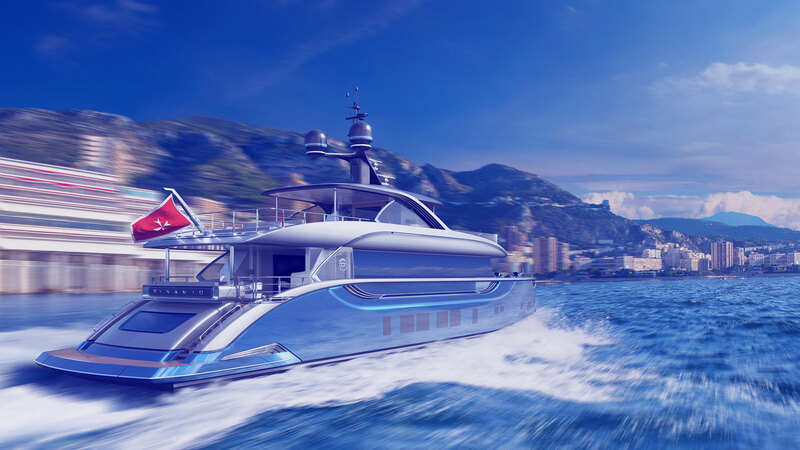 Galaxy of Happiness made its public debut at the 2016 Monaco Yacht Show.